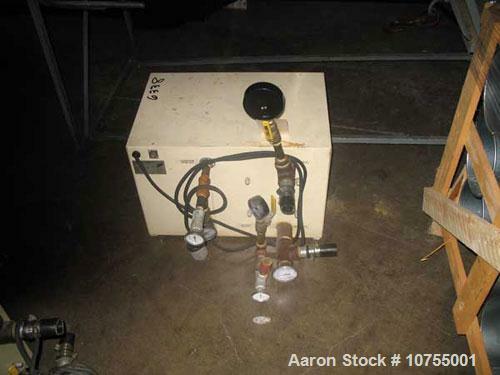 Used-Fasti Inc model BMB-III-B compressed air blow molding chiller. 200 cfm maximum air flow, 230/3/60 operation, 1.2 kw power consumption, 8.5 maximum amp draw, 200 psi maximum pressure, 5.8 kw maximum chilled water load, 4.4 kw continuous chilled water load, 30 minimum psi cooling water pressure, 70 degree maximum cooling water temperature. 2000 model year.